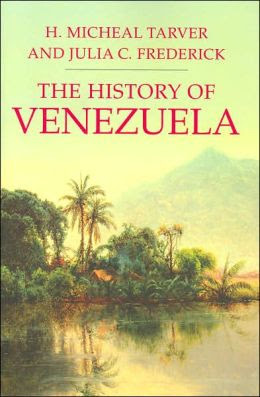 Published by textbook company Palgrave Macmillan, I did not expect for The History of Venezuela by H. Micheal Tarver and Julia C. Frederick to be a particularly exciting or interesting read. I was correct in this assumption – the book presents a brief historical outline of Venezuela in a dry manner that is filled with facts. However, I chose to read this book first in order to build a foundation on which I could build as I read books that dealt with particular events that occurred later in history. Instead of offering a summary, I will share my developing ideas after having connected some of the information presented in this book. Finally, another striking division in Venezuela is built upon race. Although remnants of the Spanish colonial system, racial divisions persist and must remain an integral part of the discourse when discussing the current issues facing the country today. Venezuela not only has a large population of indigenous Americans, but also a large population of African descent, as well. “The sixteenth century saw the introduction of African slaves… the majority of this slave work force was used on plantations for crop cultivation and processing, further fueling economic prosperity… The ownership of slave servants became a symbol of great prestige in colonial society” (page 43.) This led to a great deal of racial mixing and the creation of a social hierarchy based on skin color. While in the colonial era, the power was held by the white Spanish immigrants or their descendants, today a similar hierarchy persists.